Breaking into abandoned buildings to provide shelter for the homeless created a movement born out of survival, but it was only the first step in what became a larger campaign. Honkala, who has been arrested over 80 times for her non-violent work on behalf of the poor and homeless, sees the KWRU’s work as continuing the legacy of Martin Luther King’s ill-fated Poor People’s Campaign, which met with tremendous resistance during the last years of his life. “We wanted to pick up where King left off,” Honkala explained, “While freedom and democracy are celebrated today, the poor still live in terror, with no right to healthcare, food, affordable housing, or a job at a living wage. They are trying to drown out our voices.” No one could imagine how important the KWRU would become as a voice for the poor. The organization was on the frontlines in the fight for economic justice throughout the 1990s, intensifying their efforts when Bill Clinton enacted the Welfare Reform Act in 1996. It became clear to the KWRU that they needed to take their struggle to the next level. They attacked “welfare reform,” which essentially removed the safety net for the poor that had been in place for over 60 years, as a human rights violation. Through a relentless national campaign that included marches, national tours, and encampments, the KWRU was able to link with over 100 poor organizations across the US. The result of this effort was the founding of the Poor People’s Economic Human Rights Campaign. The ambitious PPEHRC looked to not only expose the human rights violations caused by the welfare reform and poverty as well as lack of housing, healthcare, and jobs in the US but aimed to build an international network amongst poverty and economic justice groups. The goal was to establish a living, breathing global poor people’s movement. If the target of the World Social Forum is globalization of capital, then the PPEHRC’s aim would be to flip that very concept by globalizing hope and justice. Click on any of the images below, and you’ll be able to download In the Land of Bolivar (MP4). Yet the conversation obviously dealt with the very difficult challenge the PPEHRC encounters in trying to establish a poor people’s movement within the United States and the need to build international support in order for the PPEHRC to have even a remote chance of success. For her efforts, Front Line, the defenders of human rights defenders, lists Honkala as 14th on the endangered human rights activists lists. “For some reason, many people think we don’t have poor people in the US,” Honkala explained to World Social Forum organizer Joelle Suarez, “maybe our trash cans are sexier to eat out of.” At a press conference for the PPEHRC, members of the international press asked with a wink and a smile: “Are there really poor people in the US?” Honkala, along with thirty members of the delegation, responded to these questions by explaining that the US is great at “exporting the images of the rich and famous . . . creating the illusion” that everyone in the United States is wealthy, well fed, has healthcare, and is living a life of unmitigated luxury. One of the critical elements of the PPEHRC is that their delegation consisted of a broad base of individuals, groups, and organizations that covered the economic justice spectrum. They brought with them farm workers from Florida and California, the uninsured organizing with Health Care Now!, homeless people, Iraq Veterans Against the War, and the Coalition to Protect Public Housing. Overall, the PPEHRC was well received and the delegation left Caracas with much hope for the future. 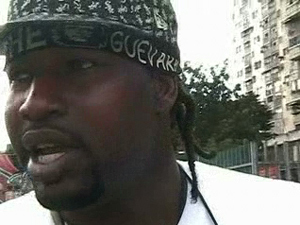 Their presence at the World Social Forum certainly generated a tremendous amount of interest and excitement. As Joelle Suarez told our group, the “PPEHRC’s presence helps broaden this movement and more specifically can help us bring the Forum to United States in 2007 . . . that is our goal.” The Hemispheric Council of the World Social Forum agrees — building solidarity with the US poor was one of the top priorities of this year’s Forum. 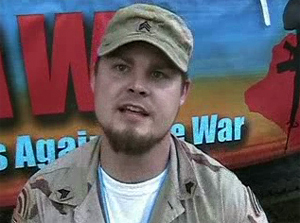 From the opening day march where the PPEHRC was joined by anti-war activist Cindy Sheehan to the loud ovation they received at the cultural performance where they shared the stage with performers from all over Latin America, the PPEHRC did the most to draw the world’s attention to an issue that here at home goes essentially ignored. Lori Smith, a member of the delegation working with the Tennessee Health Care Campaign who is seriously ill and currently does not have healthcare, summed up this sentiment: “the world got a glimpse of what is really going on in the US during Katrina . . . we’re here to expose the thousands of hidden Katrina’s throughout the US.” Willie Fleming confirmed: “our participation here shows the US and the media that there is no place too far that we won’t go to . . . we will do whatever it takes to tell the world that the US is committing crimes against humanity . . . to let the world know that there is poverty in the US, that people don’t have adequate housing in the US, that they don’t have enough to eat in the US, they don’t have proper healthcare for all in the US . . . our voices will be heard.” Our film, In the Land of Bolivar, hopes to be a small part of ensuring that these voices are heard. Antonino D’Ambrosio is a writer and filmmaker based in New York. His writing appears in many media outlets including Monthly Review, The Nation, ColorLines, and The Progressive. He is the author most recently of Let Fury Have the Hour: The Punk Rock Politics of Joe Strummer. His next book is Politics in the Drums. D’Ambrosio is currently working on a documentary project with Tim Robbins on music and politics. He is also currently Artist-In-Residence at Long Island University, Brooklyn Campus. As founder of La Lutta NMC (www.lalutta.org), D’Ambrosio is the producer/director of many documentaries. 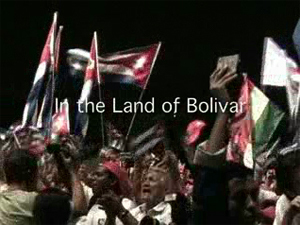 In the Land of Bolivar is scheduled for release in Fall 2006.